Pastor Nick has been connected with Manna Ministries for over 20 years through missions trips and close relationship with their leadership team. Here is a short synopsis of what Manna Ministries is all about, written by founder Ernest Komanapalli. 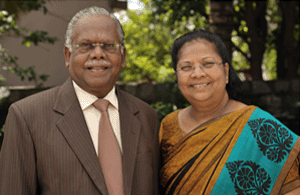 “The Manna Group of Ministries was founded in 1966 and has been reaching out to India and the world with the compassionate love of God! Our vision is based on two pillars of faith as taught by Jesus Christ: to love God and to love our fellow brother and sister regardless of gender, race, class or creed. Manna is a multi-faceted ministry that reaches out to our communities with the love of God both spiritually and physically. We consist of spiritual outreach through over 1400 congregations as well as bringing compassionate love to men and women in dire need through catastrophic relief, medical relief and village development programs. Please consider supporting this extraordinary ministry, browse their website to find ways you can help. Our service is a contemporary service with a praise band. Everyone is welcome!